It all began about four years ago in Carlsbad, California. I was sitting in a small coffee shop with my friend Carrie when a bicyclist walked in. Carrie’s upper lip curled upward. I turned to look at the bicyclist. He was tightly wrapped in a neon green shirt and black spandex shorts. “No no no,” Carrie interrupted, “what’s up with that fanny pack? !” I mulled it over. 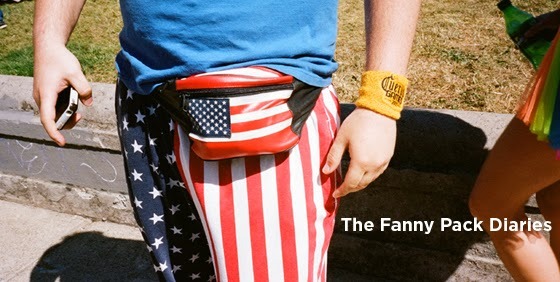 While argued on the cyclist’s behalf, I began to imagine that I myself owned a fanny pack. I could take it to the gym, or use it to store my stuff when I go to soccer games. What about the beach… my board shorts don’t have pockets so carrying my stuff around the beach is sometimes a struggle… and when I go for a jog… this genius had solved most of my current life problems. Peter is an 100 year old man whose been living with Benjamin Button syndrome for the majority of his life. His hobbies include: word play, sudoku, and being good at pretty much everything. You may or may not have seen him in our news show for our journalism class called Ka Hui Ho'olauna making blinky eyes with the dean of social science. Peter is loves eggnog, and hates egg salad and buffalo flavored things (that's because he's sensitive to his animal brothers and because they apparently taste like batteries).